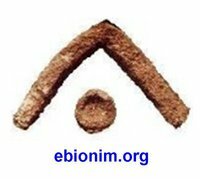 The term "Ebionim" comes from ancient Hebrew, meaning "The Poor Ones". We use that term to denote the original Jesus movement as it existed separate from Saint Paul and the evolution of Graeco-Roman Christianity outside of Israel. During the three years of Jesus' ministry, the Ebionim probably mostly identified themselves simply as Jews who accepted Jesus' leadership for ushering in the Kingdom of God. 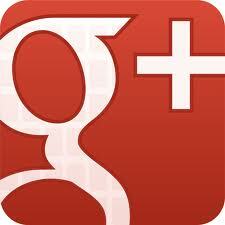 Occasionally, they used the terms "Ebionim", "Notzrim" (Nazarenes/Nazoreans/Nazirites), and "followers of The Way". These terms continued to be in use by them after Jesus' death, and grew in usage as the movement had to be distinguished from the Graeco-Roman movement that came to be known as "Christianity". The Ebionim were active until the early fourth century CE, as attested by a number of opposing Christian writers. The Ebionim were Torah-observant and opposed the Graeco-Roman anti-Jewish dogmas introduced as the Jesus movement spread outside of Israel. 1- Paul taught that salvation comes exclusively by believing in Jesus as Savior. The Torah teaches that Salvation comes only from God, not Messiah, and Jesus' teaching upholds this. 2- Paul taught that God's Commandments are now invalid for Salvation. The Torah teaches that the validity of the Commandments is eternal, and Jesus' teaching upholds this. 3- Paul taught that salvation thru Jesus was enabled by Jesus' blood satisfying a mandatory need for a Atonement Sacrifice. Torah teaches that, for Atonement, Repentance (Teshuva) and Repair (Tikkun) are necessary and sufficient, while the Ritual Sacrifice is important but not mandatory. Furthermore, human sacrifice is never acceptable as a Atonement sacrifice., and Jesus' teaching upholds this. 4- blaming the Jews as a whole for Jesus' death. History shows cleary that the vast majority of Jews had no part in Jesus' death. 5- deifying Jesus and attempting to describe God. The Torah tells us that God created all that we know, hence can not be made up of, or described in terms of, anything of this world (such as: a person, or "the Maschiach/Annointed" or "a Trinity", etc), and Jesus' teaching upholds this. Jesus' philosophy and teaching has the Torah as its basis; And scholarly research shows that his authentic teachings do not contradict that Torah basis on which they stand. Beliefs about exactly how holy Jesus was or whether he did or will fulfill the role of Moschiach are completely irrelevant, and we reject the Christian notion that achieving God's Kingdom depends on confessing Jesus as a savior. For the ebionim, Jesus was a man inspired by God and his teachings can help you live in harmony with God and God's creation. Period. Discover that teaching for the first time. (A) to enable people to follow Jesus' Torah teaching, free from Christianity's Graeco-Roman dogmas. Jesus' authentic original sayings are a powerful message that can transform people, strengthening them to become selfless and living in harmony with God's creation and God's commandments (Noachide Covenant for Gentiles, Sinai Covenant for Jews), especially 'Love God' and 'Love Neighbor'. (B) to educate people of all religions and cultures that Evangelism and Jihadism are anathema to Torah and God's will. God allows each nation to follow a unique covenant. As long as that nation abides by the ethical laws given thru Noach, it is entitled to its own rituals and cultural ways to connect to the One Creator. The Ebionim do not seek to impose Sinai Covenant rituals to Gentile cultures, nor do we accept Gentile cultures seeking to diminish the mandatory nature of Sinai Covenant rituals for Israel. Ebionim.org thrives on each nation expressing its connection to the Creator thru its own covenant, culture, and rituals. That is a Noachide Rainbow of cultures! 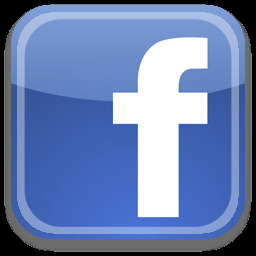 If you are interested in understanding Jesus' original insights on how to do Torah and help enable God's Kingdom here on earth, you are cordially welcome to join our Facebook Page for modern-day Ebionim, where you can participate in discussions and share media with other Ebionim. If there are additional topics you would like to see covered in the site, or if you have scripture or historical quotes that you'd like to make us aware of, or if you have questions on existing topics, just click on "Suggestions?" and we'll be glad to follow up! ©Copyright 2008-2014, ebionim.org . All rights reserved. Except where otherwise noted, all Content provided by ebionim.org . All bible quotes NSRV except where otherwise noted .